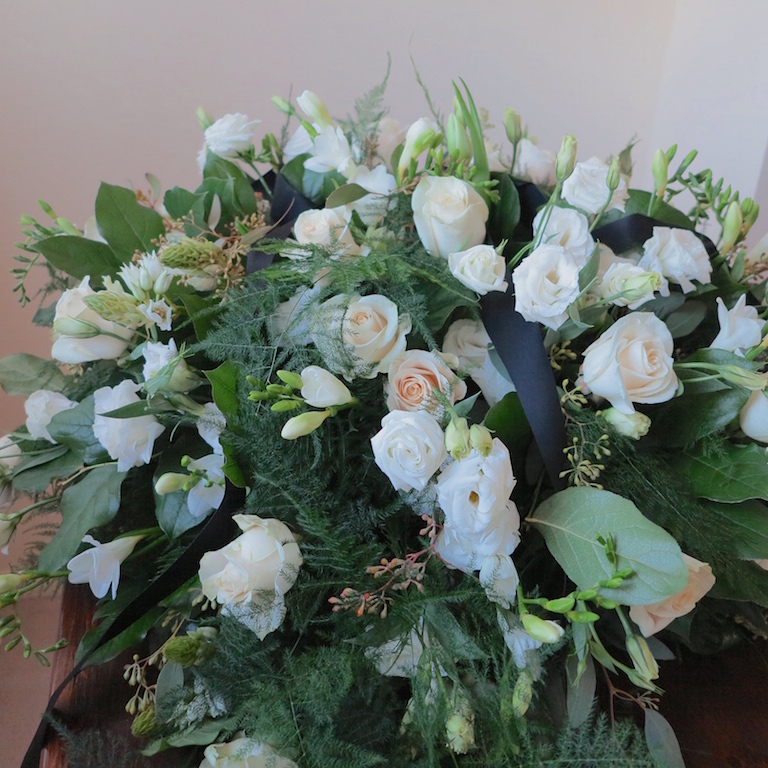 Elegant and sophisticated white casket spray arrangement. This beautiful assorted casket is just a click, tap or call away. Flower delivery in Toronto and GTA. 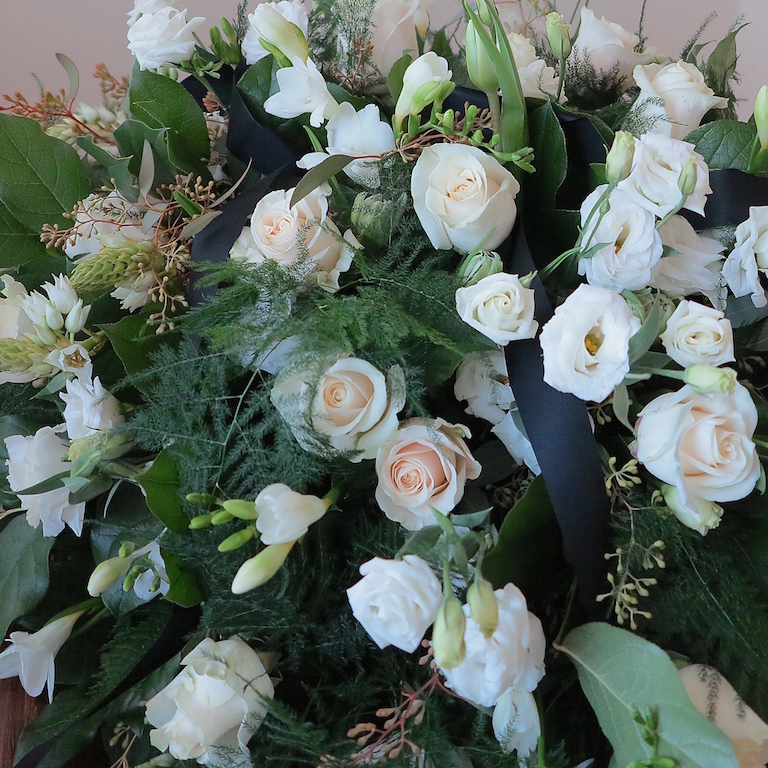 Enjoy mobile & online shopping at Toronto best sympathy florist. If you need any assistance please contact our Toronto flower shop.